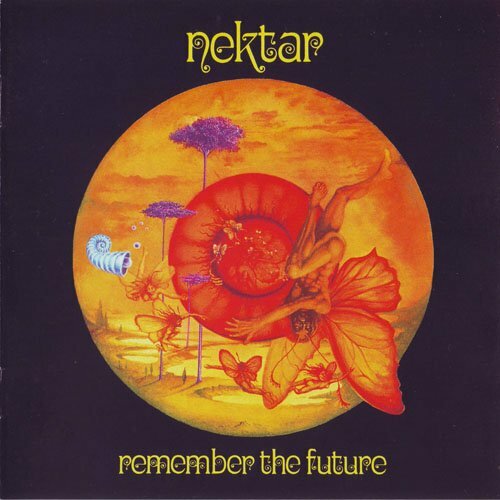 For me, Remember the Future has always been the Nektar album. It was the first one I heard, and the others have seemed like variations on its format (disregarding the later albums, which don’t seem like Nektar at all, just some band with a singer that sounds like Roye Albrighton). I know that Nektar has a mixed reputation among prog fans, many of whom feel they aren’t really progressive at all. So be it – I see where they’re coming from. Nektar never loses sight of the “rock” in “progressive rock,” and serve up some great riffs with more blues than Brahms in them. When it comes to long tracks in rock-based music, there are two basic approaches: extended single compositions along the lines of “Awaken” by Yes (which could be seen to take as a model European classic forms) or Pink Floyd’s “Echoes” which stretches with lengthy improvisation; or suites of shorter “songs” run together, like Tull’s “Thick as a Brick,” which follows on the Beatles’ tradition from side two of Abbey Road. This album is squarely in the second camp, with two LP-side-long tracks made up of distinct “songs” bridged by instrumental variations or even brief pauses. As such, it achieves length without being overly complex. It reminds me a bit of Tommy meets Moonmadness with a little Wish You Were Here thrown in. For bonus tracks, three shorter excerpts from the main pieces prove the suite nature of the music, standing nicely on their own.